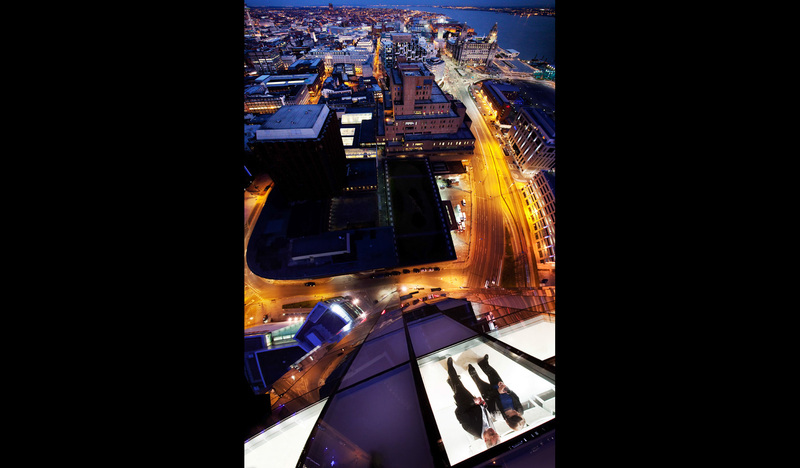 ​This image of a couple looking out of the 40th floor penthouse in Liverpool city centre was one of the scariest shots I've ever taken! 2 years of planning, an expensive training course, the complete development of a vertical mounting rig and a risk assessment that made War and Peace look like a light read finally got us over the edge of the 459ft West Tower. As a qualified IRATA Level 1 technician I had come up with a vague idea for this shot during my training, but until I met Alex Showell, a highly experienced Level 3 that I was unable to start putting the unique camera mount together and test it. After a few test runs in Hodge Close, a disused slate quarry in the Lake District, we had the method down. Now all that was required was a skyscraper that would be up for letting us go and play on the outside of it. After many letters and calls to buildings all over the UK, the Beetham organisation were barmy enough to grant us access. Climbing over the high parapet for the 1st time was terrifying, I'm good with heights but this was the tallest structure I'd abseiled off. 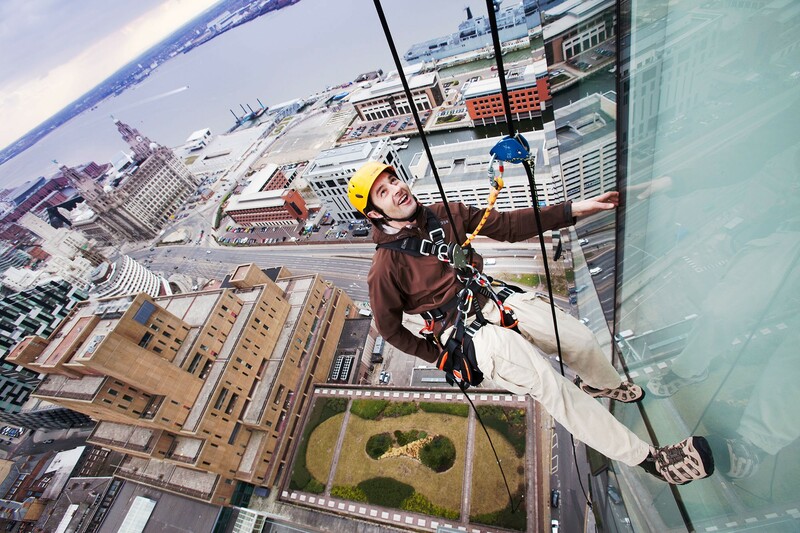 By the time we'd rigged the gear I'd settled into dangling high above the Merseyside skyline and the hour we spend hanging there waiting for the light to get to the perfect level was amazing!